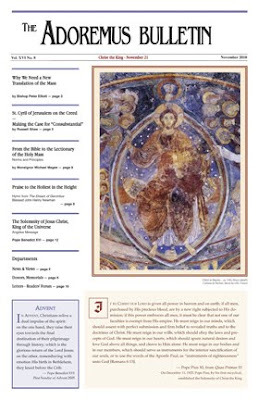 The November 2010 edition of the Adoremus Bulletin is now online. This month's edition includes an article by Bishop Peter Elliott on Why We Need the New Translation of the Mass. 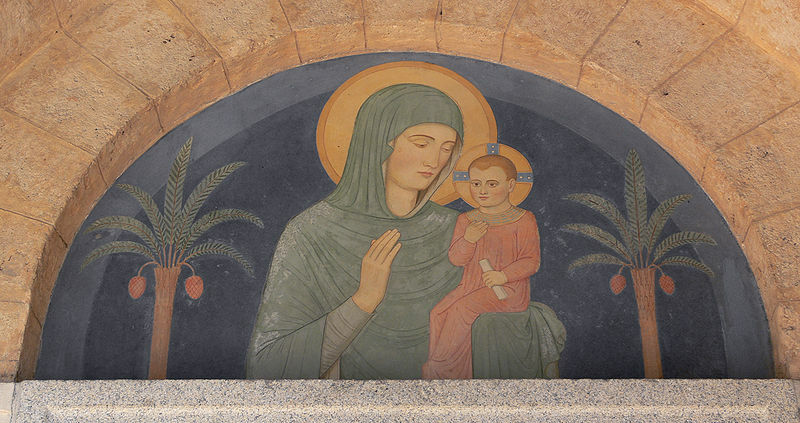 As we proceed deeper into the Autumn and move towards Advent, we enter a time of the year which seems to be particularly saturated with wonderful customs and traditions associated with the liturgical year. Sometimes we mention these customs on the same day, or at least very near to the day, and occasionally the suggestion is made that it might be helpful if mention was made ahead of time so that one might prepare better. 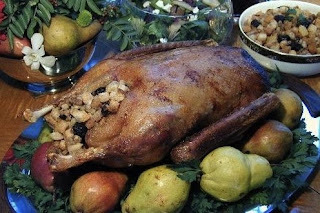 So then, for those of you who would like to observe this day, you might like to source out your goose and its trimmings sooner than later, as Martinmas is now less than two weeks away. If you do, make certain to take photos of your Martinmas feast to send into us. Indeed, this goes for all of these sorts of customs attached to the liturgical year. We recently showed photos from the beautiful chapel of the Irish seminary in Maynooth, and further to the same theme, photographer John Briody has captured further photos of another Solemn Mass in the usus antiquior offered there, this time this past October 23rd by Fr. Gerard Deighan. The Mass was offered following the annual general meeting of the Latin Mass Society of Ireland. A full photo album has been made available. ... a similar sombreness is spoken of even as regards the very candlesticks themselves. Normally the candlesticks we see used in our churches are gold or silver in colour. However, during these times, the mention of these being of some more sombre tone arises as well. Hence we see mention of black or some other darkened colour and the use of iron, dark wood, or bronze. 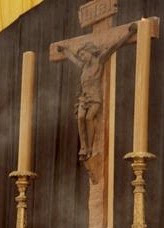 This is mentioned both in relation to the candlesticks on the altar as well as those which surround the coffin/catafalque... One will also note that, while it appears to only be specifically mentioned within the context of pre-Pius XII Good Friday liturgy, some also make use of a dark wood altar cross for Masses of the Dead instead of one of gold or silver. This, or some other non-gilt altar cross, would certainly seem to me to be a laudable custom, consonant with this same spirit of sobriety. My reason for raising this again is that an opportunity has since arisen to show a sort of "before" and "after" example of this; or more precisely, to show the same altar which is arranged both in the usual manner -- as regards the altar candlesticks and cross -- and then also arranged with more sombre altar candlesticks and cross for use in Masses for the Dead. 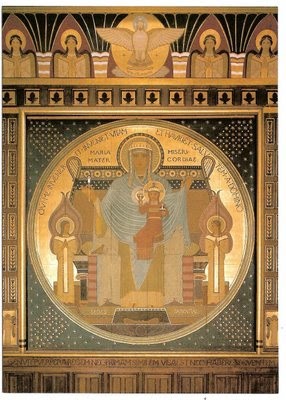 The photos come from the chapel of the Little Oratory which is part of the London Oratory. While these particular candlesticks and cross use golden highlights -- and other manifestations, such as those previously mentioned, are also possible -- the use of black certainly gives them a greater character of sobriety by comparison with the former and I believe one can see the parallel to the use of bleached versus unbleached candles. Following from a post on where to find unbleached beeswax candles for All Souls Day and Masses for the Dead generally, one of our priests asked the question of where one might find explicit explanations of the symbolic meaning of this usage for use in teaching the faithful. The matter is, to some degree, one of symbolic and liturgical common sense, but indeed, taking a very quick look about, other than the mention and recommendation of their use, commentary on the symbolism itself seems rather sparse -- no doubt it was deemed unnecessary. This idea is the "common sense" to which I referred. I say it is that because it is consonant with other similarly sombre elements that are mentioned in relation to these liturgical occasions. In other words, there is a consistency with regard to the signs. The use of unbleached beeswax is mentioned within the context of liturgies for the Dead, inclusive of All Souls Day of course, as well as on the liturgies of Good Friday in the usus antiquior. In other words, the times that, traditionally, black vestments were worn -- also a more sombre sign it goes without saying. Fr. Ryan further suggests that "[t]he candles at the funeral of a baptized infant are bleached, because that ceremony is clearly intended by the Church to be taken as one of gladness". While I have been unable to find an explicit reference to using bleached candles in this instance, it is noteworthy that, unlike all of the other instances where using unbleached candles is specifically mentioned, here it is absent. 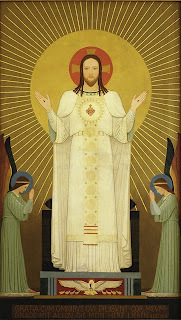 Certainly this would make sense, particularly as the vestments worn in these instances are white rather than black in the usus antiquior, as well as the fact that there is a special rite for their funeral where no prayers for the dead are said, and as Fortescue generally comments, "there are no signs of mourning." We should recall as well that in these same instances a similar sombreness is spoken of even as regards the very candlesticks themselves. Normally the candlesticks we see used in our churches are gold or silver in colour. However, during these times, the mention of these being of some more sombre tone arises as well. Hence we see mention of black or some other darkened colour and the use of iron, dark wood, or bronze. 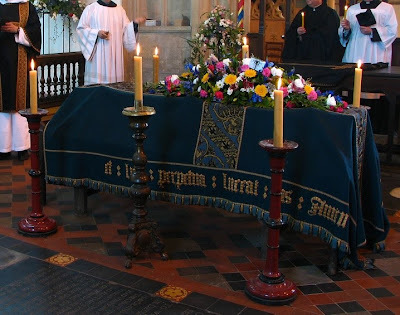 This is mentioned both in relation to the candlesticks on the altar as well as those which surround the coffin/catafalque -- although, one can certainly see many examples of where this is not done, probably for lack of possessing them. One will also note that, while it appears to only be specifically mentioned within the context of pre-Pius XII Good Friday liturgy, some also make use of a dark wood altar cross for Masses of the Dead instead of one of gold or silver. (See above and right) This, or some other non-gilt altar cross, would certainly seem to me to be a laudable custom, consonant with this same spirit of sobriety. Finally, it cannot pass mention that relics and other ornaments are not to be used at the altar during these sombre liturgical occasions. All of these things consistently point to the same theme of a sombre reserve and thus also speak to the symbolic purpose of using unbleached rather than bleached candles. Now evidently we have been looking at this through the lens of the usus antiquior specifically, but how these would apply to Masses for the Dead in the modern Roman liturgy seems fairly straightforward: unbleached beeswax candles and more sombre candlesticks (and cross) could easily be used at the altar and around the coffin in that context, and of course black vestments used as well. I would conclude by noting that there are many other sources that could be referenced in looking at this particular question, and so I would invite our readers to feel free to supplement these considerations with their own within the comments. Since the article above was originally published, it is worth mentioning that Fr. 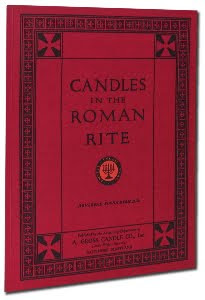 Edwin Ryan's book, Candles in the Roman Rite, has been reprinted by Romanitas Press. They were kind enough to send me a copy quite some while ago, and having also a copy of the original publication, I can attest to the fact that they have done a very good job in reproducing the original. It is available for sale at $18.80 USD. Edited by Fr. 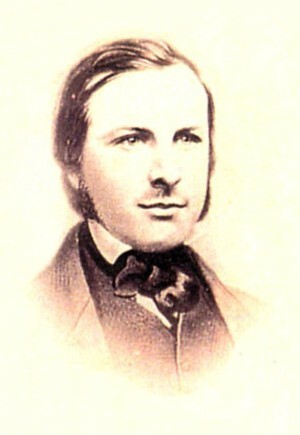 Samuel F. Weber O.S.B. This volume contains the Office of Compline for every day of the year, in Latin and English, according to the novus ordo of the Roman Catholic Church, with Gregorian Chant settings. On the facing pages for the Latin, the official English text is also arranged for chanting, using simple English tones. New translations have been made for the official hymns of the Office, and all the hymns are given with the Gregorian melodies proper for each season and feast of the liturgical year. This book will find a welcome in parishes, cathedrals, religious communities and seminaries, as well as families, all who wish to pray together at the end of the day. Complete instructions are given for praying Compline. The Foreword by Archbishop Raymond Burke explains the rich spiritual tradition of prayer at the close of day, and provides an inspiring meditation on the texts and meaning of the Office of Compline. The scriptures give only one command concerning the frequency of prayer: pray without ceasing (Lk 18:1; 1 Thess 5:17). This volume will prove to be a welcome companion to all who are seeking to make a full response to the Gospel, and persevere in unceasing prayer. The distinctive feature of this reform is, to put it simply, that for the first time, the Office was substantially changed for the benefit of the rubrics, rather than rubrics for the benefit of the Office. In addition to the removal from the Breviary of a considerable portion of patristic readings, especially from the offices of the temporal cycle, the “simplified” rubrics of 1955 also create a number of rather peculiar anomalies; this, despite the priority given (in theory) to the rubrics over the text. 1. Although all Sundays are raised from semiduplex to duplex, their antiphons are not doubled, and thus they lack what had been hitherto the characteristic feature of double offices. 2. It is very difficult to see the logic behind the choice of which vigils were kept and which suppressed, particularly when one notices that that of St. Lawrence has been kept, and those of Epiphany and All Saints’ abolished. 3. The Octave Day of the Epiphany is renamed “the Commemoration of the Baptism of Our Lord Jesus Christ”. 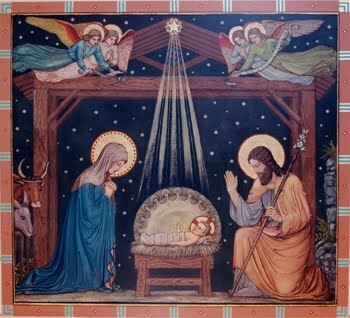 Although this is one of the most ancient aspects of the Epiphany, and indeed, the dominant one in the Byzantine tradition, the feast of the Holy Family, extended to the General Calendar in 1921, is given precedence over it if they coincide on the Sunday after Epiphany. In such case, the Baptism is not even commemorated. 4. Although the octaves of the Ascension, Corpus Christi and the Sacred Heart are suppressed, the Sundays within said octaves continue to be celebrated as hitherto, with the office mostly identical to that of the feast. 5. Wholly inexplicable is the suppression of first vespers from all grades of feasts except Doubles of the first and second class. Simple feasts, which only had the first vespers, now have none at all, running from Matins to None, a change absolutely without precedent. The tradition of beginning feasts on the evening of the preceding day is one that the Christian church inherited from the pre-Christian temple and synagogue of the Jewish people, and was known to be so at the time of this reform. This suppression, extended further in the reforms of 1960 and 1970, is now recognized to be a mistake; the reformed Ambrosian Office of 1981 has retained the historical custom by which ALL feasts have first Vespers, and the more important also have second Vespers. 6. In the Vesper hymn of Confessors, the verse, “on this day rejoicing he merited to ascend to the place of blessedness,” was changed if the feast was kept on a day other than the day of the Saint’s death. The modified verse says “on this day rejoicing he merited the highest honors of our praises.” This hymn is now always said in the modified version, even on the feast of St. Martin, for whom it was originally composed, and whose feast is kept on the day of his death. 7. Most peculiar of all, editors and publishers with authorization to print liturgical books are forbidden to incorporate these changes into future editions of the Breviary, although they are plainly too much for anyone to memorize. I have seen editions of both Breviary and Missal from the years 1957-59 which do in fact incorporate the changes into the book in various ways, either by omission, or by printing the deleted texts in italics or smaller type. 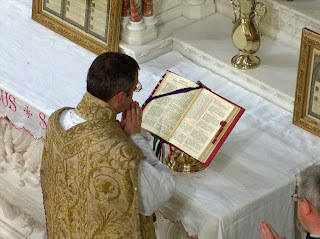 However, many priests decided to keep track of the new changes by a less costly expedient than the purchase of a whole new breviary. The next part of this series will discuss the reform of 1960. To read the most recent parts of this series, click here. For the complete set of links to the earlier parts of this series posted last fall, including a Glossary of terms related to the Divine Office, click here. We were asked if we could make mention of the site here, so as to encourage people to show their support, and of course, we are only too happy to do so. Readers may also wish to send their congratulations to Archbishop Ranjith who will also receive the red hat. Matthew Alderman Studios has been serving for the past few months as the designer for the principal elevation of the new St. Paul's University Catholic Center in Madison, Wisconsin, with RDG Design and Planning of Omaha serving as the overall architect of record. We are now releasing our concept to the various organs of the city government for their comment and review, so I can now share this exciting news with our readers. Officials with the St. Paul Catholic Student Center at UW-Madison unveiled a new, less-boxy design Monday for a $45 million housing development and campus worship center. The design keeps the same square footage and 14-story height as an earlier version but presents it in a way that will better fit with surrounding historic buildings, they said. An April design drew concerns from city planners over mass and height. "I don't know if we've addressed those concerns — it's the same height and size — but our goal is to convince city staff that while it's a tall building, it's not a very big building," said the Rev. Eric Nielsen, St. Paul's priest.The project would replace the existing Catholic campus facility at 723 State St. The center's "relatively small" quarter-acre footprint would remain the same, with much of the 10,000 square feet coming in height, Nielsen said.The student center portion of the current facility was built in the late 1800s. The chapel was built in 1909 and renovated 43 years ago. It has no residential component. The redeveloped center would house up to 175 students. "This is something Catholics in the state will want for students here, and urban density is something the city wants," Nielsen said.City Planning Division Director Brad Murphy did not return phone calls for comment. The student center is across from Memorial Library on State Street Mall and between University Book Store and the landmark, neo-Gothic revival Pres House, the campus Presbyterian chapel. The new design looks less blocky and more classical than the earlier version, center officials said. It is "more cohesive" in the way it integrates a chapel and student center on the lower levels with several stories of student housing, Nielsen said. Informational plans for the project were to be submitted Monday to the Madison Landmarks Commission, said Ron Trachtenberg, St. Paul's attorney. The project is expected to go before the Landmarks Commission Nov. 8 and before the Urban Design Commission Nov. 10. The City Council will need to approve it, he said. Center officials hope to break ground in two to three years, said Scott Hackl, St. Paul's development director. A vast majority of the money for the project is expected to be raised from a small group of benefactors, he said.The project poses a number of intriguing challenges; it was commented when I was first discussing the possibility of involvement that I was probably the only ecclesiastical design consultant in America who had made a systematic study of early twentieth-century churches with a similar mixed-use program. I was brought on board once most of the internal program had been worked out, as well as the basic height and width of the building, but a lot of the exterior massing and detail had not yet been worked out. After consultation with the clients, a form of Romanesque was adopted as the preferred style, given its obvious ecclesiastical connotations, its ability to blend with a more modern Deco aesthetic, and its ability to withstand budgetary simplification. The interior of the building will house a variety of dormitories, apartments, meeting rooms, study lounges, and other facilities for the campus ministry, as well as the chapel, which is accessed through a large lobby and will be on the second level of the structure. It was important to impart an ecclesiastical character to the principal facade while at the same time asserting the building's mixed-use status. 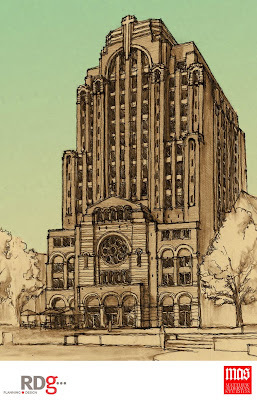 In my own sketches, I drew on the work of Ralph Adams Cram at Christ Church Methodist in New York, a rugged urban ecclesiastical plant with a great deal of dignity and personality, and Bertram Goodhue's slightly earlier St. Bartholomew's, just down the street on Park Avenue. St. Bart's offered some particularly useful ideas, as the General Electric Building, a particularly lofty high rise, was built behind it and designed to serve as a suitable low-key backdrop for the church's Byzantine dome, in much the same way the main shaft of the structure relates to the church facade below. This is also an important precedent given the neighboring structure, Pres House, the Presbyterian university church, is a landmarked Gothic revival structure, so while St. Paul's should make its identity clear, it must also create a symbiotic relationship with the older structure. I imagine you will hear more from me on this in the next few weeks as the story develops further and we get reactions from the vox pops. Everything I have heard so far has been very positive. I encourage you in any case, if you live in Wisconsin, to tell your friends and support this very worthy cause. Not only could this be a great moment for traditional architecture, it could be a unique and fruitful opportunity for future generations of young Catholics in Wisconsin and throughout the Midwest. 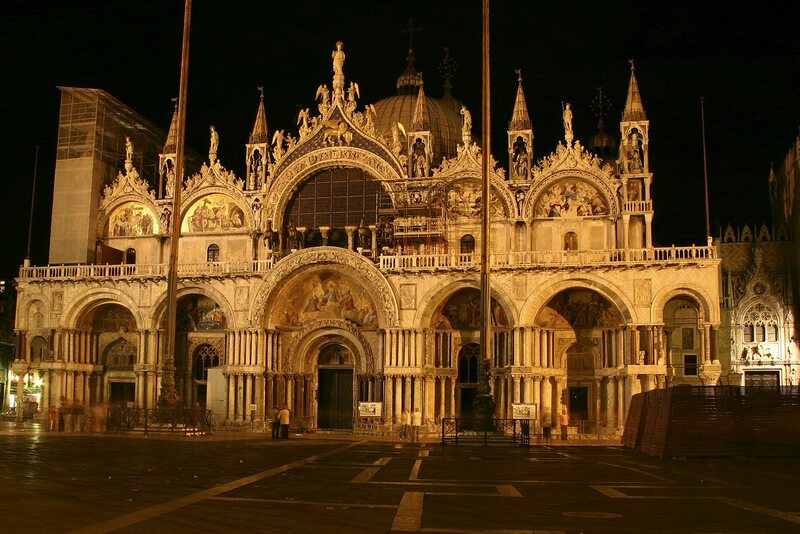 The Tallis Choir of Toronto has an intriguing offering this Advent: the Gabrieli Midnight Mass of 1605 in which they set out "to recreate the splendour of Christmas Eve in the ducal chapel of San Marco in Venice." So wrote an astonished 17th century English visitor after hearing high mass in San Marco in Venice. Today even concert musicians are looking at the original liturgical context to shed light on the great choral music of history. Paul McCreesh pioneered the reconstruction of the music of historic liturgies on CD and in concert. The Tallis Choir of Toronto has presented several popular concert recreations: Sarum Vespers of the Purification with the music of Thomas Tallis, Monteverdi Vespers of Christmas Eve, and the Victoria Tenebrae of Good Friday. On Saturday, December 4, the Choir will present its most ambitious reconstruction to date: Midnight Mass as it may have been celebrated on December 24,1605 in St. Mark’s in the presence of the Doge and Senate of Venice under the direction of Giovanni Gabrieli. Choir, soloists, organ and period orchestra will catch an echo of the splendour of Renaissance Venice. Researching the event has provided vivid insight into the liturgy of the period. For instance, it was a Venetian tradition to write settings of the Ordinary as individual movements which could be mixed to produce a collective mass, unlike the more common cyclical settings of Palestrina. Vivaldi’s famous “Gloria” is a later example of a work that could be inserted into a mass setting on a festal occasion. Gabrieli placed his various choirs in the galleries above the sanctuary and in the choir screen pulpit which was nicknamed the “Tub”. Hidden passageways above the reredos allowed musicians to redeploy musicians in new configurations. Equally-balanced choirs could suddenly resound as a dialogue of upper and lower voices. Surprise and delight were constant features of Venetian masses. Perhaps the most curious tradition was the substitution of motets for the prescribed texts of the Proper. On festal occasions, little Gregorian chant was heard. The rubrics were of course fulfilled by the clergy’s sotto voice recitation. These parallel sequences can be seen as late as the works of Mozart who wrote many Proper substitutes. Gabrieli’s motets are on the largest scale imaginable: Salvator Noster has three five-voice choirs. Another unexpected tradition were the choral settings of the mass responses. Orlando di Lasso published a set of polyphonic settings of the responses at the Collect, Gospel, even the Sursum corda of the Canon. And no Gabrieli mass would be complete without the famous brass canzonas filled with fanfares to welcome the Doge or acclaim the reading of the Gospel. The concert will not be able to recreate the cannons that were fired at the Elevations! The concert takes place on Saturday, December 4th at 7:30PM at St. Patrick's Church, McCaul St. in downtown Toronto. For those who are not in the area, but are interested in this choir, do visit their webpage, including their page of recordings. Today there seems to be a growing interest in the subject of ecclesiastical heraldry. Accordingly, a number of our readers might be interested to learn of an Italian artist who recently came to my attention, Marco Foppoli. 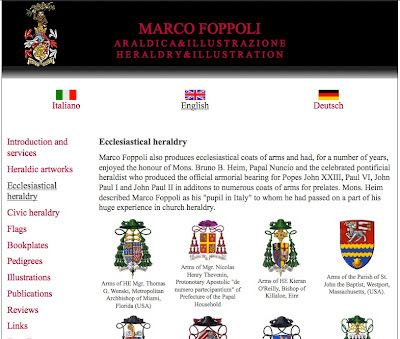 Marco Foppoli also produces ecclesiastical coats of arms and had, for a number of years, enjoyed the honour of Mons. Bruno B. Heim, Papal Nuncio and the celebrated pontificial heraldist who produced the official armorial bearing for Popes John XXIII, Paul VI, John Paul I and John Paul II in additons to numerous coats of arms for prelates. Mons. Heim described Marco Foppoli as his "pupil in Italy" to whom he had passed on a part of his huge experience in church heraldry. 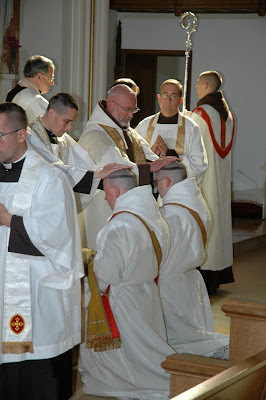 The Carmelites of Wyoming, who celebrate Mass in accordance with the Carmelite liturgical books, recently celebrated the ordination of two new priests. 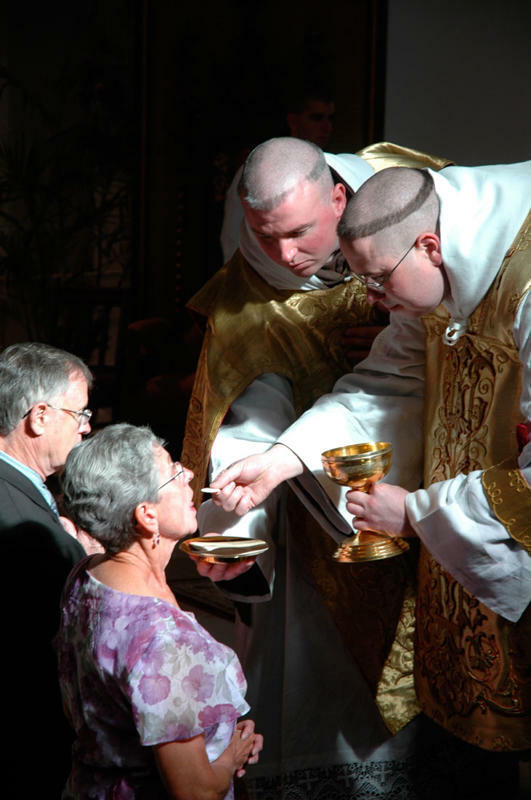 The ordaining bishop was Bishop James Conley of Denver and the ordinations took place on the Feast of St. Teresa of Avila, October 15th, in the Cathedral of St. Mary's, Cheyenne, Wyoming. 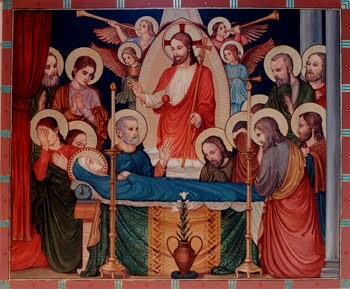 Here, too, is an image from one of the first Masses. 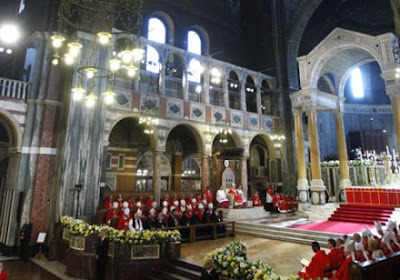 Shortly after the papal visit to the United Kingdom, the Holy Father Pope Benedict XVI, when back in Rome, reflected on his visit and made a particularly glowing comment about the sacred liturgy which was celebrated in Westminster Cathedral. The comment made suggested the Pope was holding it forth as a kind of model. Similarly, in this week's edition of The Catholic Herald, Fr. Anthony Symondson, S.J., suggests that parishes throughout the U.K. should draw inspiration from Westminster Cathedral while also giving a particular consideration of the altar and ciborium of the same. Here is that article in its entirety. Shortly after his appointment as Archbishop of Westminster in 2000, Cardinal Murphy-O’Connor attended a meeting of the Westminster Cathedral Art and Architecture Committee. After thanking the members for their work, he said that the main reason for coming was to propose changes to the high altar. Several times, he recalled, he had asked Cardinal Hume why he had left the Cathedral only temporarily re-planned in conformity to the regulations laid down by the Second Vatican Council. “I am leaving that to my successor,” explained the cardinal. “I am he,” declared the new archbishop, with a smile. 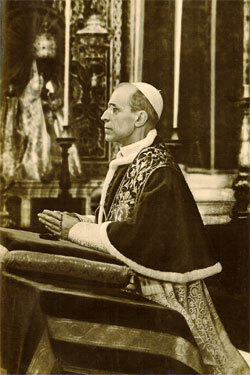 He proposed that the temporary altar erected for the pastoral visit of Pope John Paul II to England in 1982 should be removed and the great monolith of Cornish granite, given by the Hon George Savile, which forms the original high altar should be moved forward to the centre of the ciborium magnum, or baldacchino, to enable Mass to be celebrated versus populum and ad orientem. As a member of the committee, I welcomed this proposal because it meant returning to Bentley’s high altar and drawing the Cathedral into the liturgical unity it had formerly enjoyed. It also meant that once more Mass would be celebrated beneath a ciborium and that the sanctuary would have one altar. It was also enlightened in so far as it excluded destruction, built upon what was already there, rather than introduce innovations, and enabled Mass to be celebrated in both positions. With few reservations the committee welcomed the proposal. These were that it would constitute a change to the relationship between the altar and ciborium, so far undisturbed, and the destruction of the inlaid wooden predella that stood in front of it. Michael Drury, the Cathedral’s inspecting architect, was commissioned to investigate the possibility of the proposal and make plans. The matter was then, under listed building consent, referred to English Heritage, the Westminster City Planning Department, the Victorian Society and the Historic Churches Committee. All appeared to be going smoothly until a letter was received from Paul Vellouet, of English Heritage, an Anglican architect with an interest in liturgical planning. This reflected the provisional liturgical ideals of 40 years ago. 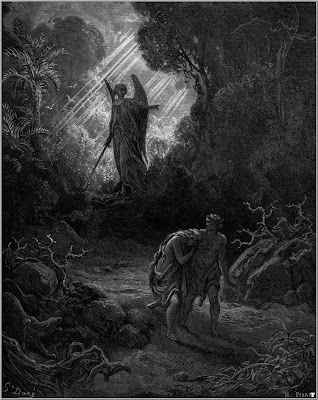 He objected to the suggestion because he thought it would be temporary and would, in due course, be replaced by a radical re-planning of the sanctuary, of which he appeared to be enthusiastic. Adapting the high altar would represent an expensive waste of money and was the wrong path to take. Money was certainly a factor and it transpired that it had not entered the considerations behind the proposal. It would cost an estimated £50,000, but the Cathedral did not have it. An appeal was not launched and quietly the proposal fell into abeyance. Meanwhile, a mock-up was made to show the new position of the altar and, for a time, experimentally, Mass was celebrated facing the people when it was used. The sightlines were unaffected and there were no objections to the proposed change. Indeed, the transformation of worship occasioned by returning to the high altar was met with wide approval. The practical problem was that there was hardly any room behind the altar to celebrate Mass easily and genuflection was almost impossible. Nine years later the cardinal again came to the committee to bid farewell on the eve of his retirement. He said that one of his biggest regrets was that he had been unable to re-plan the sanctuary and leave a permanent liturgical legacy behind. He seemed concerned by the redundancy of the stalls and the obstruction created by the rosso antico cancelli walls. In 2005 Joseph, Cardinal Ratzinger, was elected Pope Benedict XVI and a new liturgical chapter in the history of the Church was opened that eclipsed the former liturgical zeitgeist which had come into being in the years immediately following the Second Vatican Council and opened many of its radical, de-sacralising objectives to question. One was a criticism of the principle of a clean break with the past in architectural terms in the re-planning of churches; another was an emphasis on historical continuity in the celebration of Mass. Evidence of this is to be seen in the celebration of papal Masses in St Peter’s, St John Lateran and on papal visits abroad. Archbishop Vincent Nichols was translated to Westminster in 2009 and his inaugural Mass and enthronement launched a new regime in the Cathedral. Despite the restricted space, Mass was celebrated with great splendour at the high altar, facing the people, and few, if any, complaints were received afterwards. The desire to make this practice permanent recurred. The proposal to move the massive mensa was abandoned but superseded by another to move the wall behind the altar, on which stood the crucifix and six candlesticks, three feet back towards the apse, narrowing the steps that led up to it, thereby freeing space behind the altar to enable greater ease of movement. At one time it was thought that this would be structurally impossible because of the shift of weight on the supporting pillars in the crypt, below the altar. Investigation by Michael Drury resulted in a positive solution and plans were made to make the structural changes as carefully and unobtrusively as possible at half the cost of the original proposal. The aim was to finish the alterations in time for the state visit of the Holy Father this year. The papal Mass celebrated on September 18, televised universally, was widely considered to be the most magnificent Mass celebrated so far by the Pope on a foreign journey, and the use of the high altar significantly contributed to this verdict. 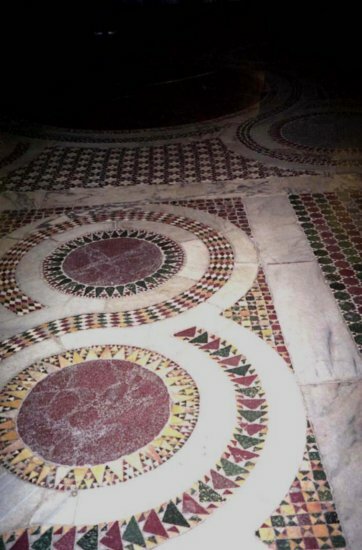 Once more Westminster Cathedral embodied a liturgical unity which did not compromise its architectural integrity or the reformed and unreformed liturgical canons. 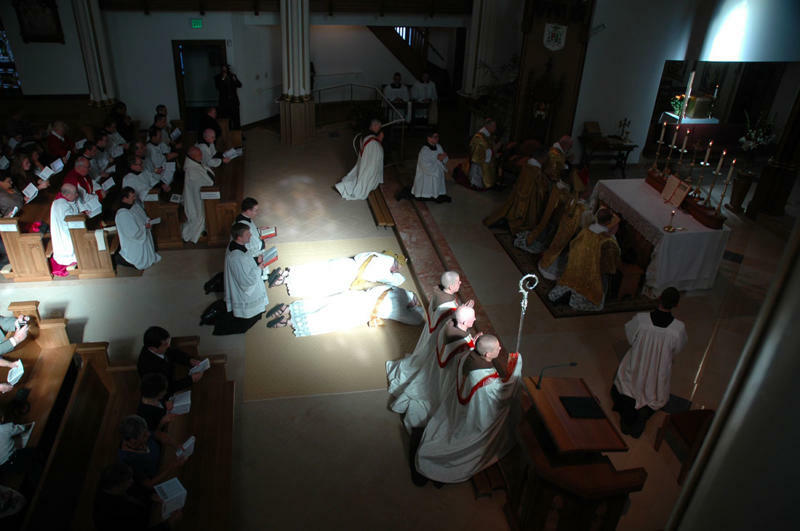 These developments are deeply significant for the liturgical life not only of the Diocese of Westminster, but the Church in England and Wales. 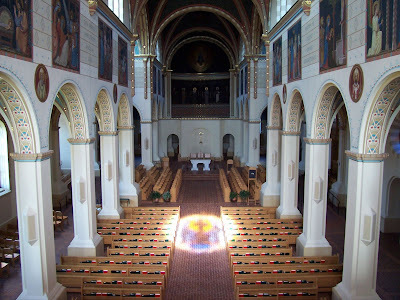 Several radical proposals were drawn up since Vatican II to re-plan the sanctuary but none were executed, despite experiment with temporary solutions. The present result is so convincing that one wonders why it was not considered 40 years ago. Not least is the liturgical advantage of celebrating Mass once more beneath a ciborium. In recent years there has been a tendency to erect permanent square altars in sanctuaries on the basis that they follow the primitive model of Constantinian basilican practice. Indeed they do to some extent, but they are frequently architecturally maladroit and their size as well as form often does violence to the scale of churches. As Edmund Bishop, the leading English 19th-century liturgiologist, whose influence on 20th-century liturgical theory was profound, proved, the primitive Christian altar was indeed square but it was completed by the addition of a ciborium to provide necessary protection and a liturgical enclosure. 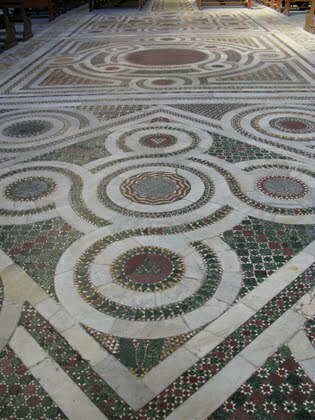 That is what is found in the undisturbed, fourth-century Roman basilicas and surviving churches of the period in Italy. It was Bishop’s research that persuaded Bentley that a ciborium was an essential part of the Christian altar and that his baldacchino was the best thing about the cathedral. A square altar looks wrong without a ciborium to cover it. 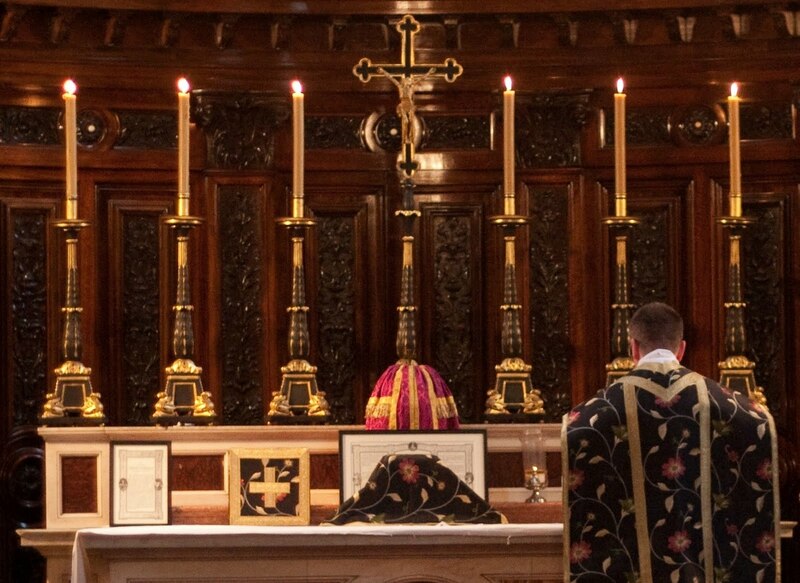 Where square altars are put in modern churches, the liturgical space would be transformed by the addition of a simple ciborium and I hope that Westminster Cathedral will sow seed in their revival as necessary adjuncts to the sanctuary. 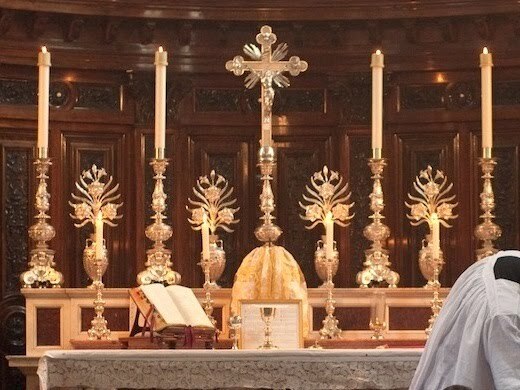 For the papal Mass a graceful silver 18th-century standing crucifix and candlesticks, chosen by Mgr Guido Marini, the papal master of ceremonies, were put on the altar and it would be good if these remained permanently in place. 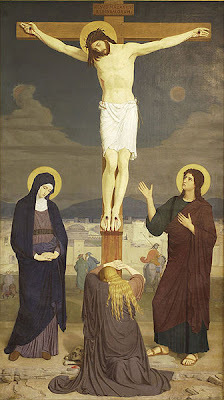 The crucifix simply applies what was laid down after Vatican II and provides an indispensable Christocentric focus for the celebrant. It is not an obstruction but a necessary ornament. 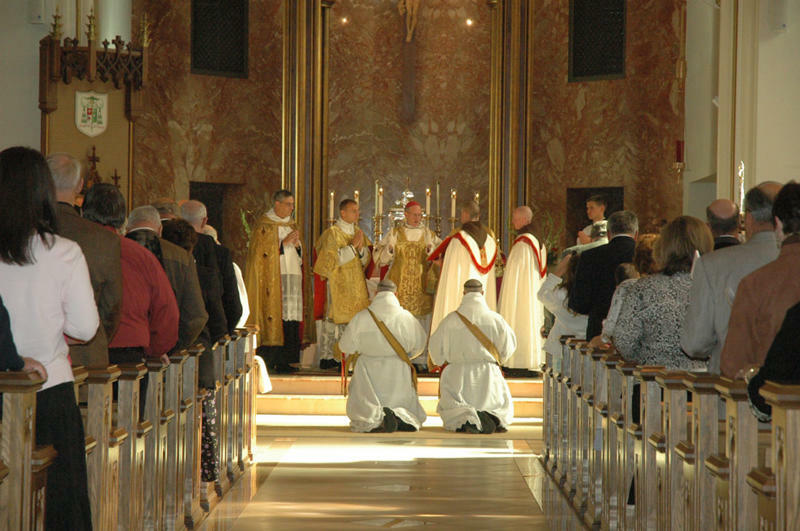 All in all, the recent changes at Westminster and the example of the papal Mass are radical in their exemplary celebration of the Roman Rite and I hope the precedent they give will be followed in the parishes of England and Wales. Worship would thereby be newly reformed, as commended and practised by the highest source of ecclesial authority. Today, H.E. Msgr. Velasio de Paolis, Titular Archbishop of Thelepte, President of the Prefecture for the Economic Affairs of the Holy See and to be created Cardinal at the coming consistory of 20 November, ordained nine new deacons for the Franciscans of the Immaculate. Pontifical Mass was sung and Holy Orders were conferred according to the usus antiquior. Here are some pictures, via John Sonnen at Orbis Catholicus. A 260-year-old bell - probably brought to Windsor by the Jesuits in 1750 - was recently discovered in the Assumption Church belfries. On Wednesday, Jason Grossi, the principal architect working on the $9.6 million reconstruction of the 170-year-old church, climbed up two rickety 20-foot ladders and squeezed through a dirt encrusted opening to ring the three-foot tall bell that sits on the north wall of the belfries. Then he rang the church's main bell, which trilled so loud it could be heard halfway across the University of Windsor campus. The Jesuit bell was discovered by Steven Ball, a University of Michigan musical instruments professor. Last summer Ball, who is also an organist, was substituting at an Assumption mass and decided to climb into the belfries. As a campanologist, he studies bells and bell ringing. He informed officials about the second bell, but it wasn't investigated for a year. Ball couldn't be reached for comment Wednesday but Grossi said the bell probably came to Canada with the Jesuits from France sometime after 1701. Assumption Church, which is the oldest building west of Montreal, is undergoing a massive renovation that will probably take 10 years to complete. 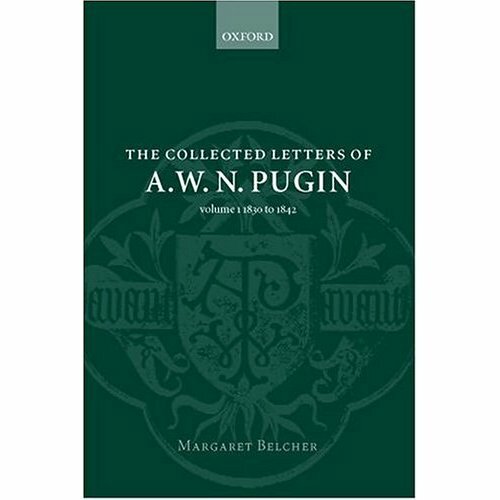 The Collected Letters of A. W. N. Pugin: Volume 3: 1846 to 1848, edited by Margaret Belcher, Oxford University Press, £126. Reviewed by Fr. Anthony Symondson, S.J. 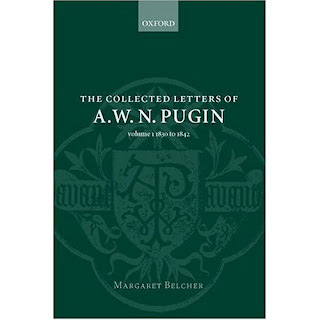 One of the most remarkable feats of modern scholarship is Margaret Belcher’s edition of the collected letters of A. W. N. Pugin, the Victorian architect. Scrupulously edited and annotated, they are not only indispensable for the study of Victorian architecture and ecclesiastical life of the period, but reveal Pugin in his own, sometimes raw, words. The third volume (the longest so far) brings the record to 1848. The years 1846-8 find Pugin at the zenith of his work and influence. His two major churches – St Giles’s, Cheadle, and St Augustine’s, Ramsgate – are finished; the first part of the House of Lords is open; and he makes his only visit to Italy. He also married for the third time. His bride, Jane Knill, brought happiness after four years of misery, poor health, and disappointment following the death of Louisa, his second wife, in 1844, leaving him with six children and the burden of running an expanding practice with little assistance. Much of his correspondence was with the colleagues who executed his work. With Myers, his builder, Hardman, his metalworker and glass-painter, Crace, who executed his domestic furniture, wall paper and diapering, and, less so, Minton, his ceramist. Much of this correspondence is professional, associated with architectural projects, but some is personal and discloses the good terms of friendship established by Pugin with them; the same applies to his clients. Hardman took an interest in Pugin’s welfare, knowing how he drove himself, and it was he and Lord Shrewsbury who urged him to go to Italy for a month to recuperate after the intense exertion of working on Cheadle and the House of Lords. 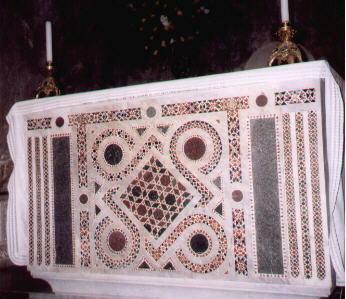 ‘Ever since I left Rome I have been delighted with Italy,’ he wrote to Lord Shrewsbury from Florence, ‘… I have seen 3 of the finest gothic altars in Christendom & one of silver about 12 feet high – as for the stained glass there is nothing so good on our side of the alps - & the sacristies are full of Gothic shrines reliquaries chalices &c. I am in a perfect mine of medieval art …’. If anything, his enthusiasm intensified in Perugia, Bologna, Venice and Milan. Pugin met Newman in 1846 at a reception at Alton Towers after the consecration of Cheadle, in company with the massed ranks of clerical and lay Catholic leaders celebrating the revival of Catholicism in England. But, on practical grounds, nobody indighted Pugin’s reputation as a liturgical designer more than Newman. In 1848, after preaching at the newly-consecrated St Thomas’s, Fulham, he delivered the coup de grace on the efficiency of Pugin’s altars and the functional competence of his churches. ‘Mrs Bowden’s new Church at Fulham is very pretty,’ he wrote to Miss Giberne, ‘but it has the faults of Pugin. In details Pugin is perfect but his altars are so small that you can’t have a Pontifical High Mass at them, his tabernacles so low that you can scarce have exposition, his East windows so large that every thing is hidden in the glare, and his skreens (sic) so heavy that you might as well have the function in the sacristy, for the seeing of it by the Congregation.’ Pugin did not attend the consecration and came to fear Newman’s antipathy. In Jane Knill Pugin found a ‘first-rate Gothic woman at last, who perfectly understands and delights in spires, chancels, screens, stained glass windows, brasses, vestments, etc’. She befriended his children, bore him two more, and, Myers confided to Hardman, made ‘the governor’, ‘Very Cosy … and as fat as a seal’. Every few years an immaculate volume of Pugin’s letters is published by the Oxford University Press, sparsely illustrated in monochrome on art paper, which is a model of how letters should be edited and presented to the public. Three have appeared so far, volume 4 is promised next year, and more are expected to bring the record to the year of Pugin’s death in 1852. They are not only a monument of scholarship but, through the extensive footnotes, set Pugin’s life in the context in which he lived, devoid of bias. Not least, the Second Spring of English Catholicism is reflected as it actually was through Pugin’s engagement with the protagonists. Victorian studies as a whole owe Margaret Belcher a debt that will never be repaid. Sacred Architecture Journal has just posted an article I wrote about a year ago examining the design of Skidmore, Owings and Merrill's massive glass, wood and concrete Oakland Cathedral. I think it is one of the better pieces I have written. It is not simply enough to say, at a very superficial level, "Yes, this does not look like a church, we must replace it with something with Gothic doodads stuck to it" (though it may be a start, depending on how nice the doodads are), but if we are to make any headway in a lasting revival of traditional architecture, we must understand what does and does not succeed in revealing the sacred at a deeper, more elemental level, at what goes on beneath and below the surface. Then we can add as many or as few doodads as appropriate, if they're well-designed and placed in a logical and beautiful manner. I hope you enjoy reading it. It has been a number of months since we have shown much from the Ambrosian rite. The Collegium Sancti Liturgicum Ambrosii Episcopi in Legnano have recently launched a new website and as part of that site, have also recently posted photographs of Mass offered this past Sunday, October 17th, in the Chiesa di Sant’Ambrogio Vescovo in Legnano, celebrated by Msgr. Attilio Cavalli, a Major Penitentiary Emeritus of the Duomo of Milan as well as a Canon of the same. The Procession. You will note two things here. One, the use of the golden mitre by the Monsignor, and the second, the use of a staff with an orb shape atop of it, called the ferula. Canons of the Metropolitan Chapter traditionally had the right to wear pontificals, such as the mitre for example, for certain liturgical occasions -- normally Solemn Masses. The Ferula was also used for more solemn celebrations, a dignity given to the Canons, parish priests within the city of Milan, and to the parish priests of certain other distinguished parishes within the Archdiocese of Milan. Prayers at the Foot of the Altar; there are a few points about vestments here worth noting, but I will speak to them in the later photographs where they are more visible. One will note all of the servers who kneel before the altar. Incensation of the Altar. You will note here how the chasuble is lifted during the incensations. Also observe on the alb, the golden, rectangular piece called the grammatae which is derived from the historical apparel at the base of the alb. While not visible in any of the photos shown here, I would also mention that the thurible would be uncapped; that is, having no "lid" or top so to speak. We now skip ahead in our photos to the Offertory and Canon of the Mass. This image gives a good view of the cappino worn around the neck, which, like the grammatae, is also a remnant derived from an apparel; the appareled amice. One can also just see the ornamental cuffs. Consecration. Once again, note the grammatae.